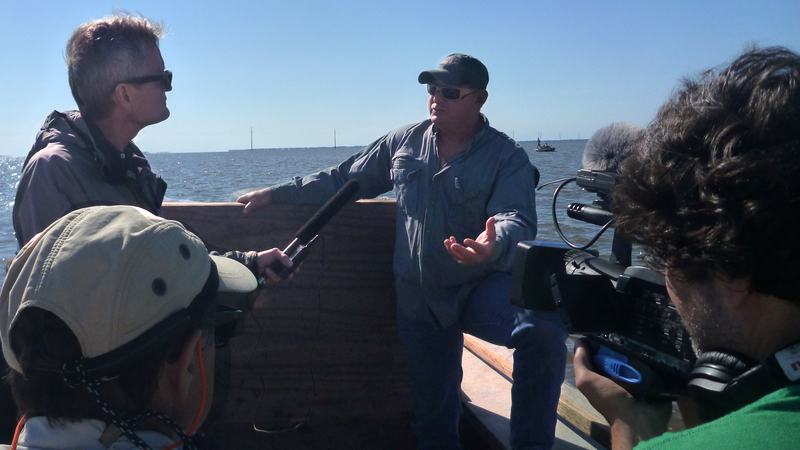 WFSU Public Media team interviews an oysterman on Apalachicola Bay. WFSU radio has been a local fixture for 50+ years. WFSU Public Media's radio stations include two news and information-based stations and one 24-hour classical music station (with a repeater in Thomasville, GA), providing the region with trusted news and reliable entertainment. Radio news staff reliably bring the latest local and state news to listeners. WFSU-FM is the producing station for the news program, "Capital Report," that is produced each weekday during legislative session and weekly the rest of the year. The program is broadcast on public radio stations across the state under the Florida Public Radio network. WFSU-FM staff also produce Perspectives and It's About Florida, and record other program material at meet-ups and forums within the Tallahassee community. On our classical network, we provide an insider's view of local classical music on the Nuances and Showcase programs. Cultural Notes keeps listeners abreast of local cultural events across the region. Follow these links to find out more about WFSU Radio and WFSU Radio's history.